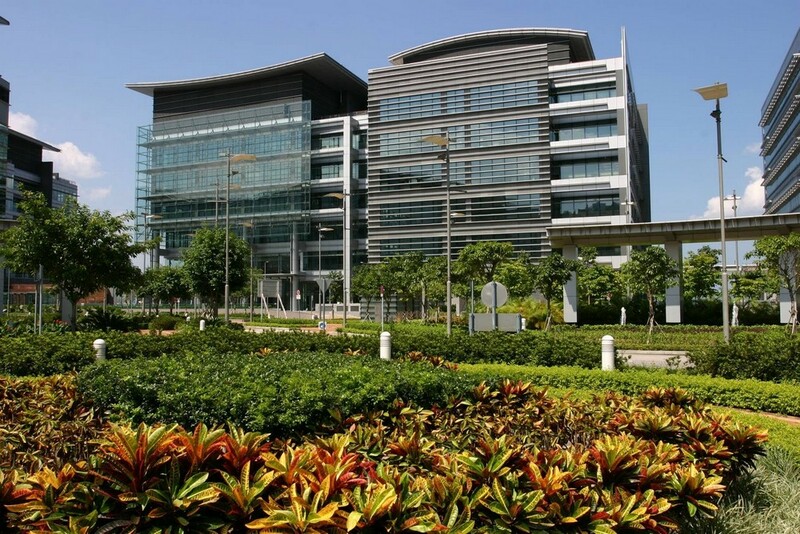 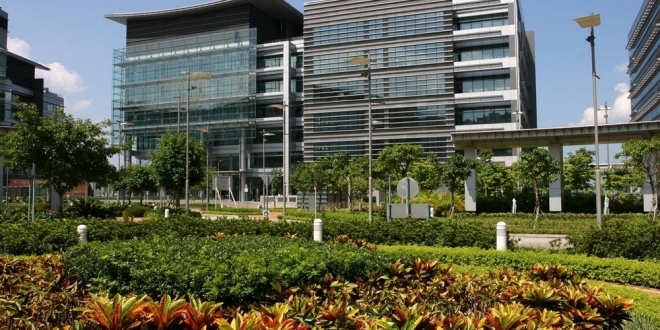 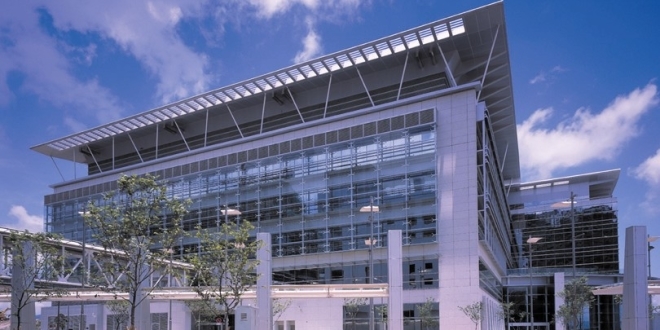 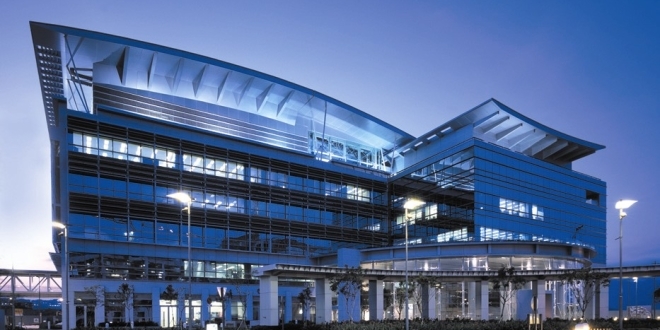 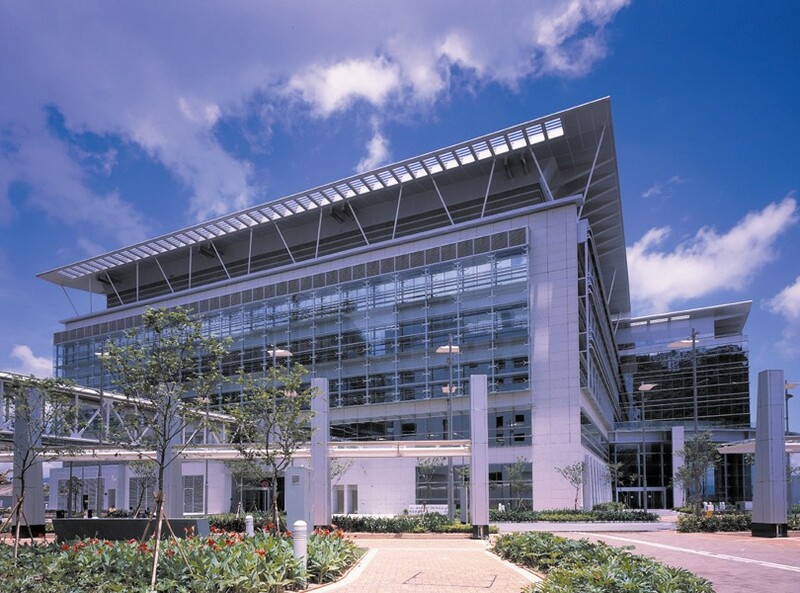 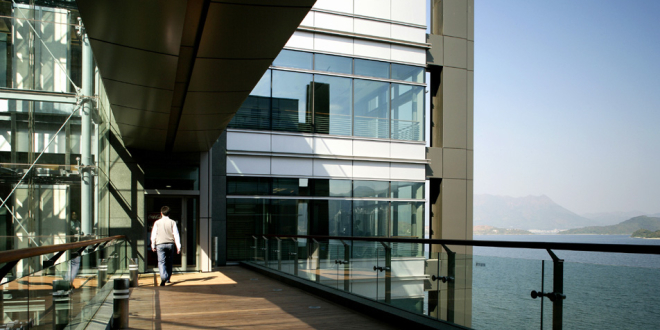 The Hong Kong Science Park is a science park in Hong Kong, located in Pak Shek Kok, New Territories, on the boundary of Sha Tin District and Tai Po District. 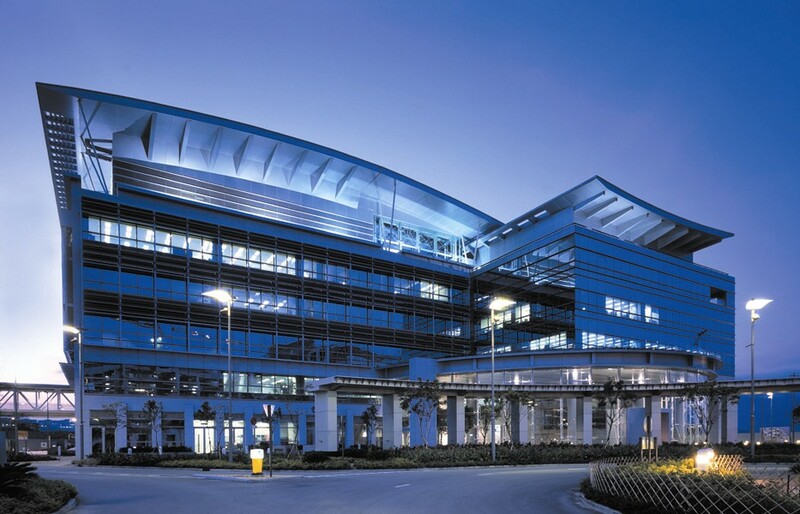 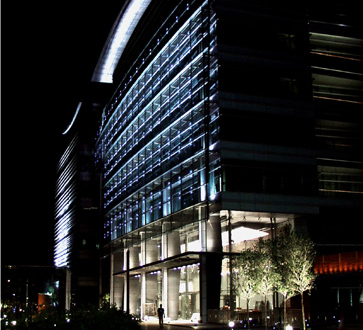 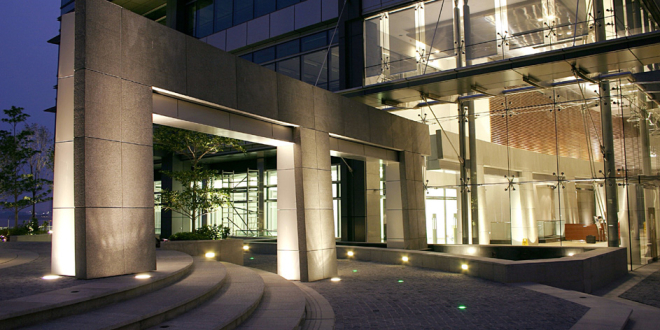 With its 220,000 square metres it is designed to accommodate companies of all sizes and stages of development and to promote interaction and innovation at both local and global level. 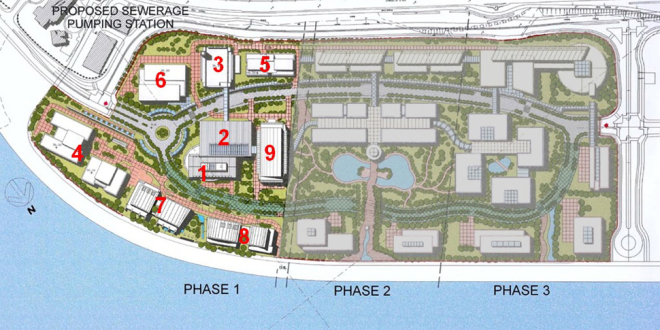 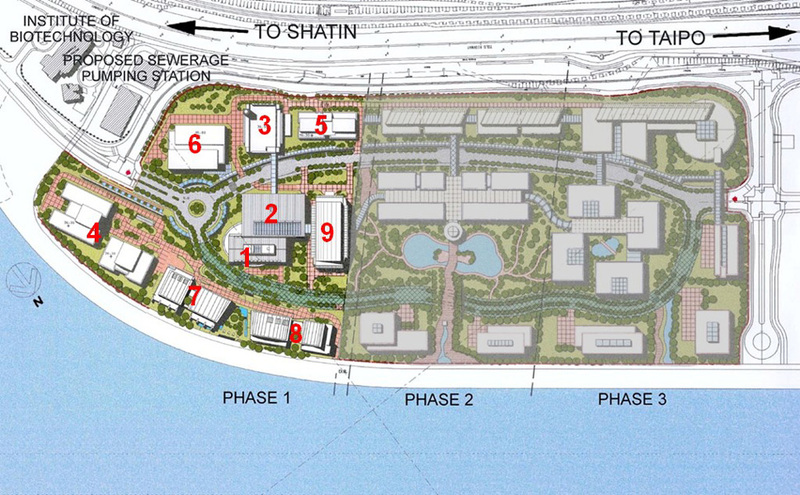 The Science Park is being developed in three phases on the edge of Tolo Harbour at Pak Shek Kok. 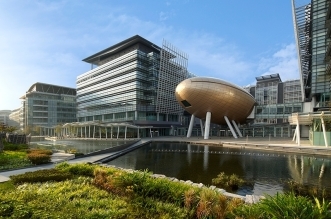 It has been planned as a research and development campus where High and New Technological firms can set up their bases. 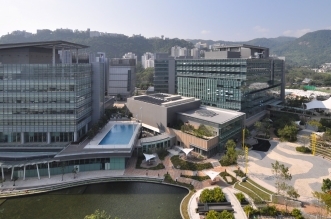 Phase I, comprising a total of 9 buildings, which includes two campus buildings , four corporate buildings for large organisations and three core buildings for restaurants, exhibition, serviced apartments and other features. 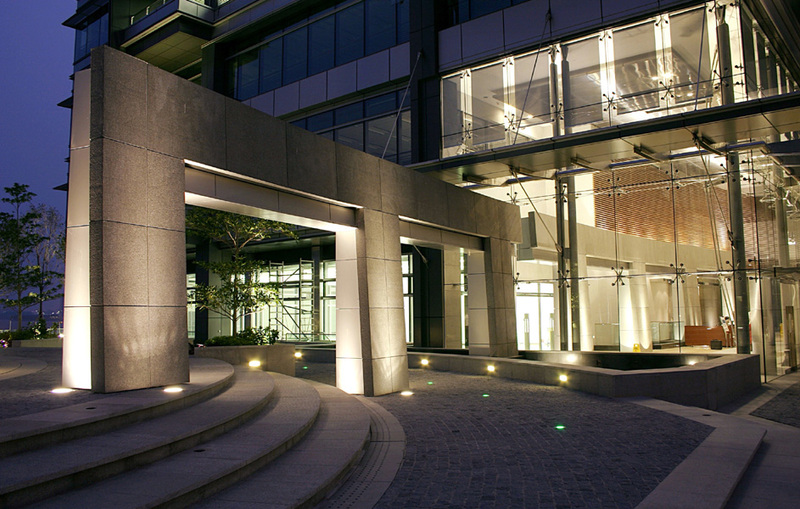 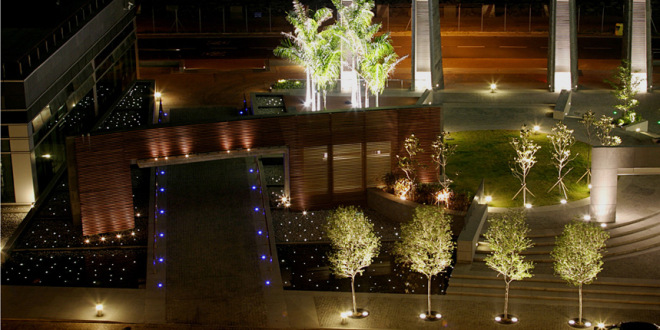 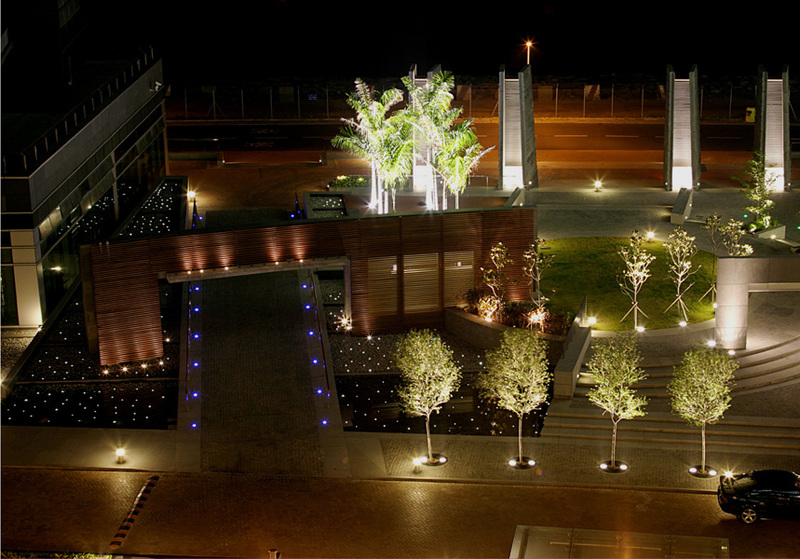 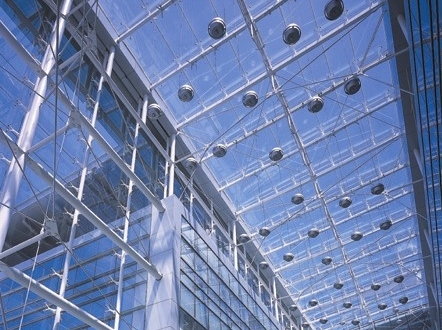 The Phase I development was completed in just six years and opened in 2004. 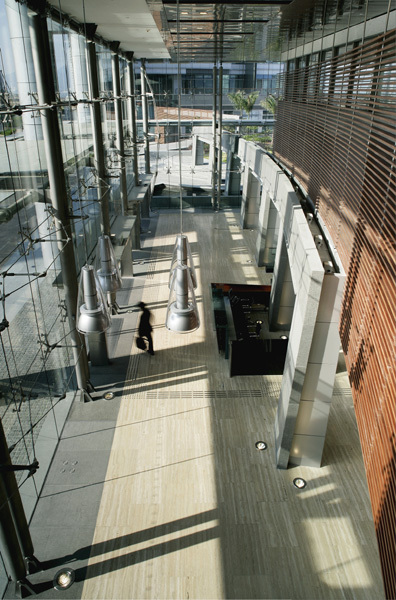 The buildings are constructed as 9 separate buildings, the buildings are sharing common architectural language, similar colour scheme and materials but are allowed to have their own identities. 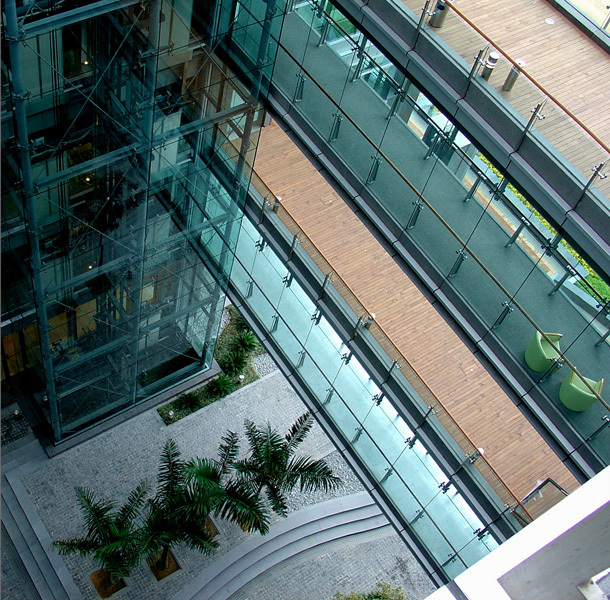 Open spaces have been provided on upper floors as sky gardens and walk out areas. 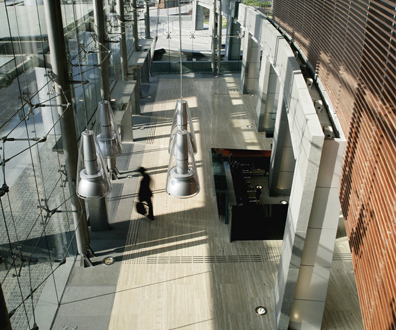 Communal spaces are created by widening the corridors, providing furniture and encouraging interaction and communication between people. 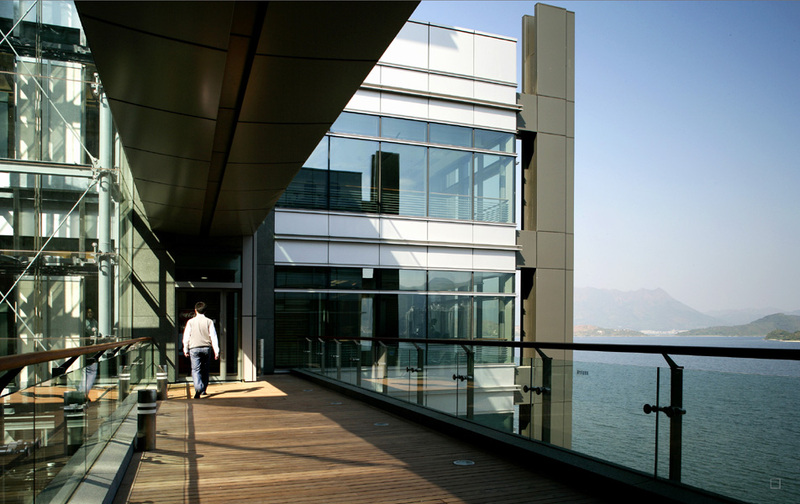 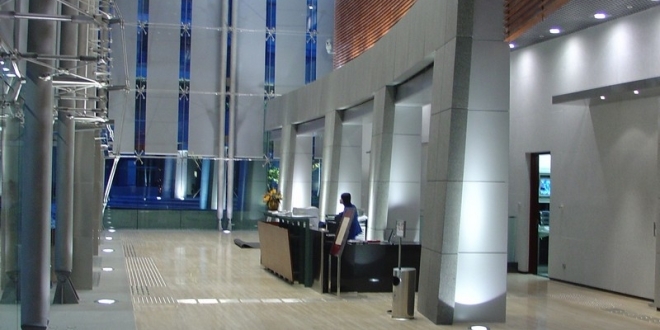 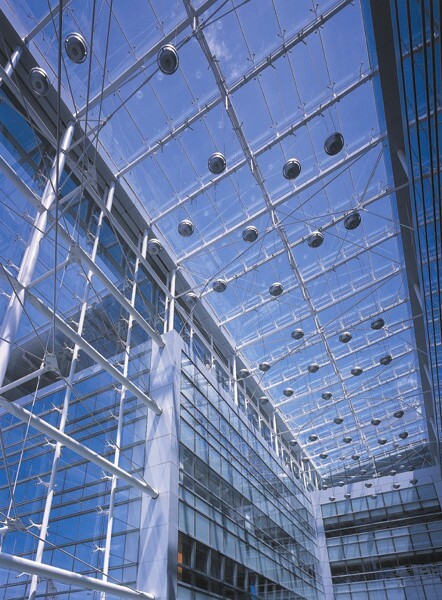 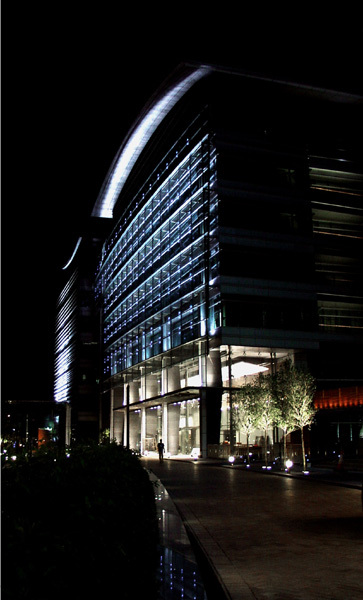 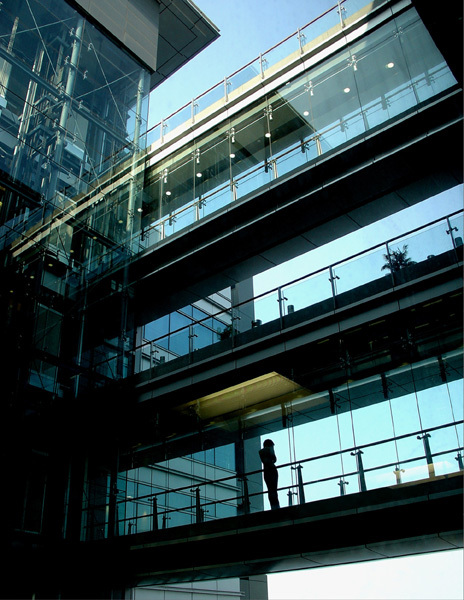 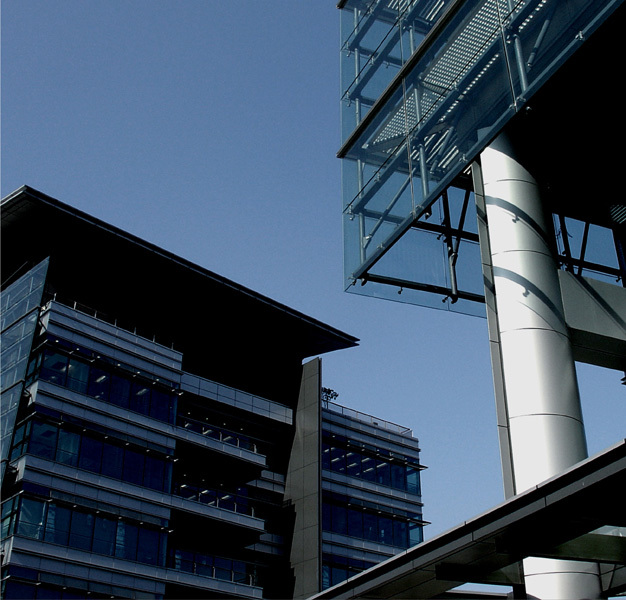 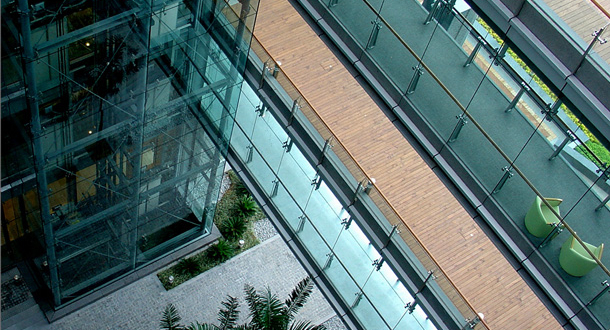 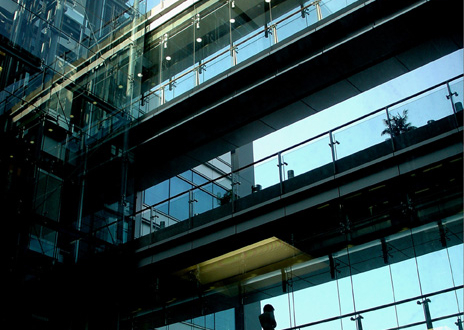 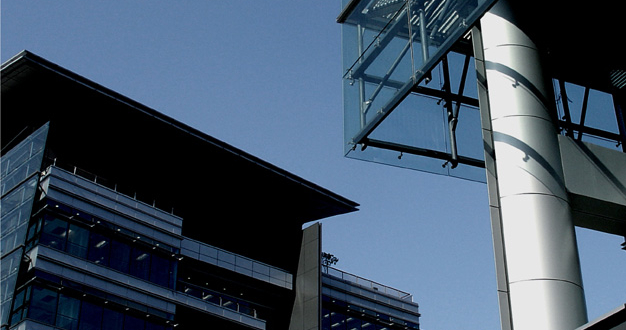 Double skin curtain walls are provided to insolate heat, sound, dirt and vibration; sunshades are provided to shield direct sunlight penetration and low-e coated double glazing are used to reduce heat gain to the offices. 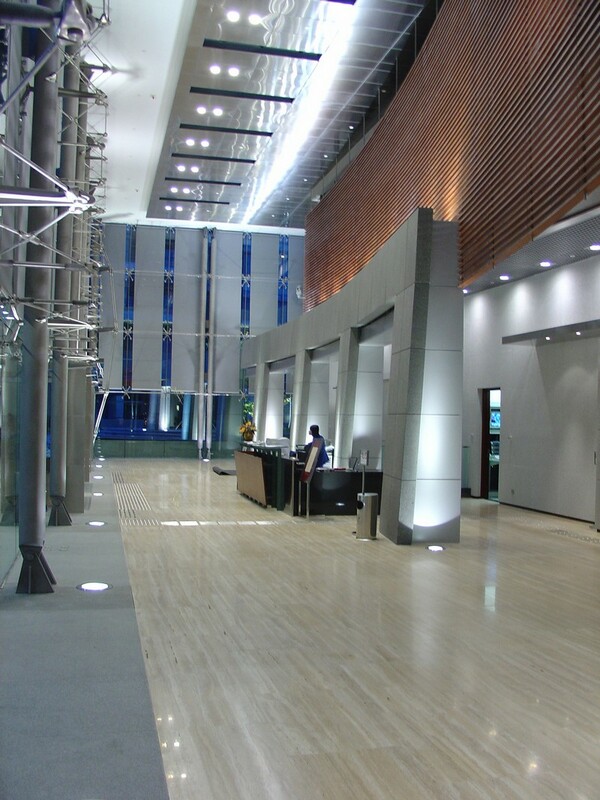 Service tunnels under the buildings are provided to house all the service installations, so as to facilitate the maintenance and future development and upgrading of these installations.